Well hello again to whomever managed to make their way to this odd corner of the internet. 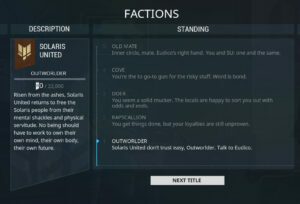 Today I’m making another “for Vinny” post this time about some noob friendly ways to grind Solaris United Rep. There are some GREAT in depth resources on how to do it and if you’re one of those mastery rank 26 folk that need big rep numbers I’d say check out something like Sapmatic’s video on the subject since he’s got some great ways for you to get that rep fast and furious with higher mastery rank and better equipment. 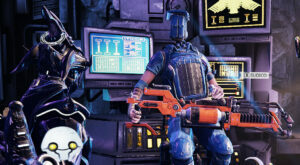 But for us noobs who are still learning how to Git Gud, let’s go over a pretty decent method of grinding a little rep here and there without being awesome sauce. 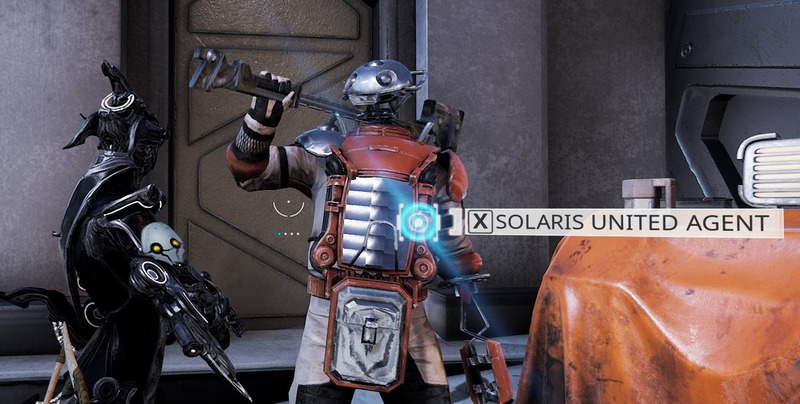 The devs gave us a LOT of ways to earn Solaris United rep. Really the only way you can’t earn rep in Fortuna is by farting near the vents. Trust me, it didn’t work. 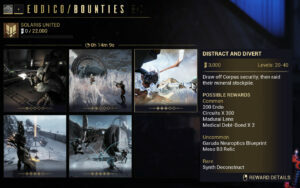 The best way for new players to earn rep for serious is to do bounties. 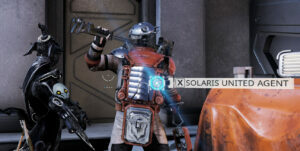 I say that because you can get mods, vaulted relics and the stuff you need unlock higher rep tiers for Solaris United. It’s really just a good way to get resources, get some xp, and start working on getting what you want from the expansion a bit at a time. 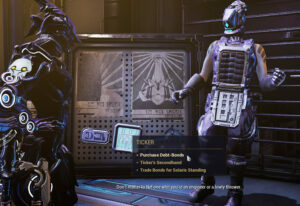 To start taking Bounties talk to Eudico while still inside Fortuna to grab a bounty and head out. 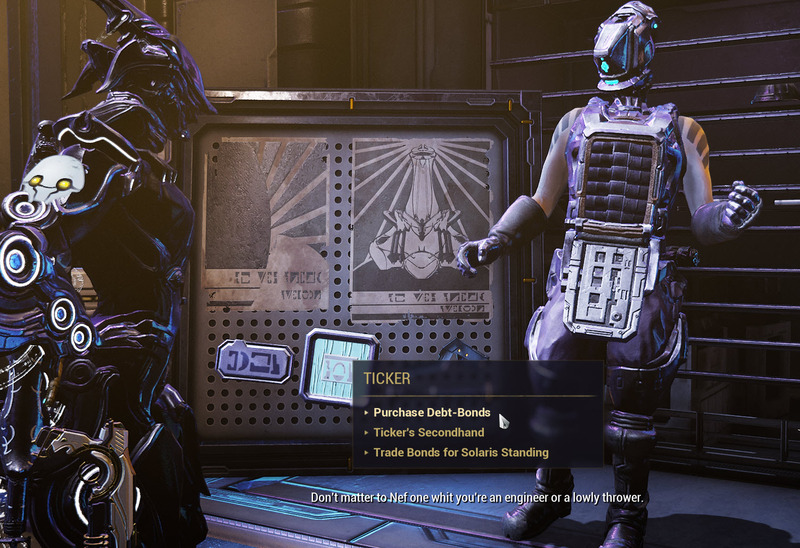 OR, you can talk to a convenient bounty man that sits just outside the gates of Fortuna when you end up in the frozen hills of Orb Vallis. 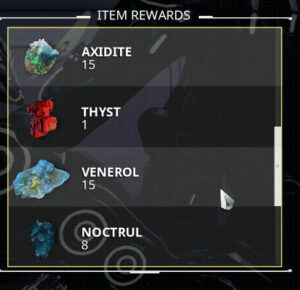 You can do as many bounties of any tier as you want/have time for, before moving on to whatever else you want to do in Warframe. Guess what, another great way to grind rep for Solaris United on a budget is actually MINING. You’ll want to get in some fishing too for parts, but don’t worry about doing it for rep. If you have a lower mastery level you’re not going to be able to earn a ton of rep a day so you don’t want to blow it on fishing lures. 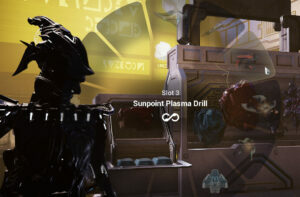 With mining you do need to invest in the one time rep sink of gaining the Sunpoint Plasma drill. That’s not everything I ended up with, but a quick recap. 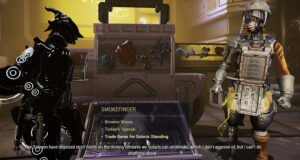 Now you just take your haul back to our good buddy Smokefinger and do a little biznezz. 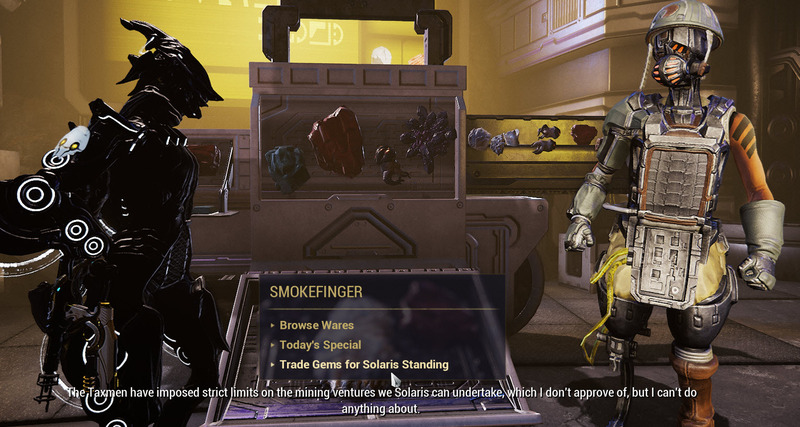 Not ‘The Business’ that’s another guy… and ew..
No no… head on over to Smokefinger here and choose the conveniently labeled section “Trade Gems for Solaris Standing”. If you ended up with some of the high end gems you can get quite a bit of rep for it without too much run around. No it’s not as much as repeating bounties OR doing the conservation captures. BUT if you have a low standing cap anyway or you just don’t have a lot of time one day or another, cashing in some gems is at least one way to keep building up standing a little at a time. 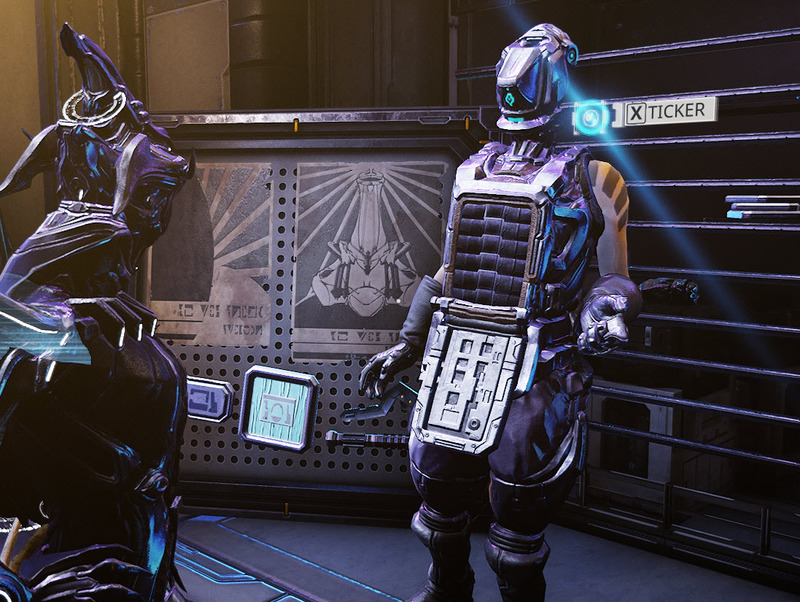 There are a lot of other fun ways to earn rep in Fortuna, but these are probably going to be the two that are most accessible to peeps with limited funds and rep gains so may as well start here then look into all the other options as you increase in mastery. Once again, check out the video I linked above for more. So you’ve been busting your hump for rep, you walk up to Eudico and you realize that you need something called Debt Bonds to unlock the next rep tier for Solaris United. Well if you’ve done Bounties you probably have a few. If you haven’t, you’ll need to get the last you need to move on up. That’s where Ticker comes in. This sassy operator has just what you need. To buy Debt Bonds you’ll need credits and resources. If you’ve been doing the Fortuna content and just playing Warframe in general, you should have enough to get started. If not, get back out there and start hitting nodes and doing missions. You’ll build up a decent stash in no time AND have fun while you’re at it. AKA not just running from node to node doing nothing else and hoping someone doesn’t beat you to it like every OTHER annoying mmo resource mechanic. But I digress. The bonds range in price from 10kish and some change to well into the 100k and up. So it’s not going to be chump change. Also if you’re working on building weapons and warframes this is going to cut into your budget, but that just means going out and playing more warframe to get more credits, so it’s a win/win. The Debt Bonds Ticker sells also rotate in and out on a timer. You’ll be able to see what he has available once you ask and you’ll see how much time you have to purchase them. So if you’re just a few credits short you can run a few missions then jump back in and buy them up. If it turns out that he doesn’t have something you want now, you can just come back later and see if he has something better later. If you’ve done some fishing and sacrificed your fishy friends for their sweet sweet components, you’ve done some bounties, or you’ve just cleared out your favorite K-drive grind spot a few times, you’ll likely have some resources to spare on buying up some debt bonds. If you need info on fishing I wrote up a noob friendly guide here or once again do a quick search on youtube and I’m pretty sure you’ll find TONS of stuff. 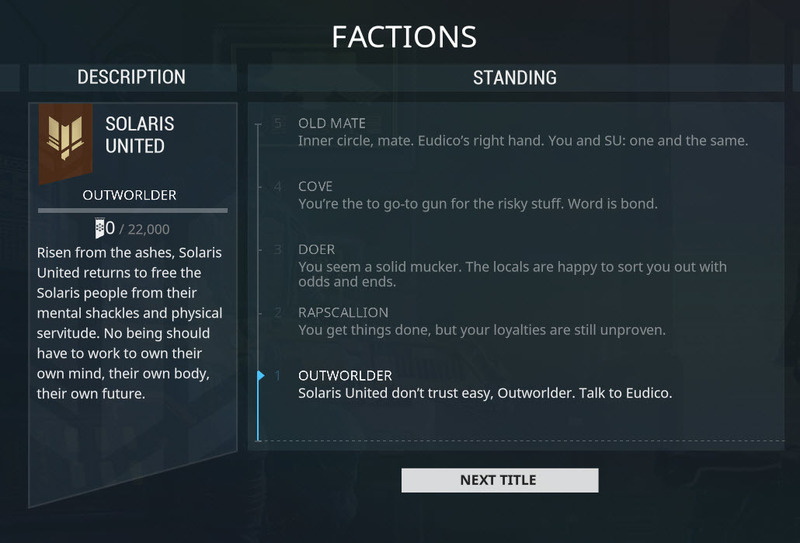 Technically you can turn around and sell the bonds BACK to Ticker for Solaris United rep. As a newer player I can’t say I’d recommend this until you’re rep is fully unlocked with Solaris United because they are expensive and you’re going to need a lot of them to unlock all the rep tiers. Personally I’d just bank them until they love you. 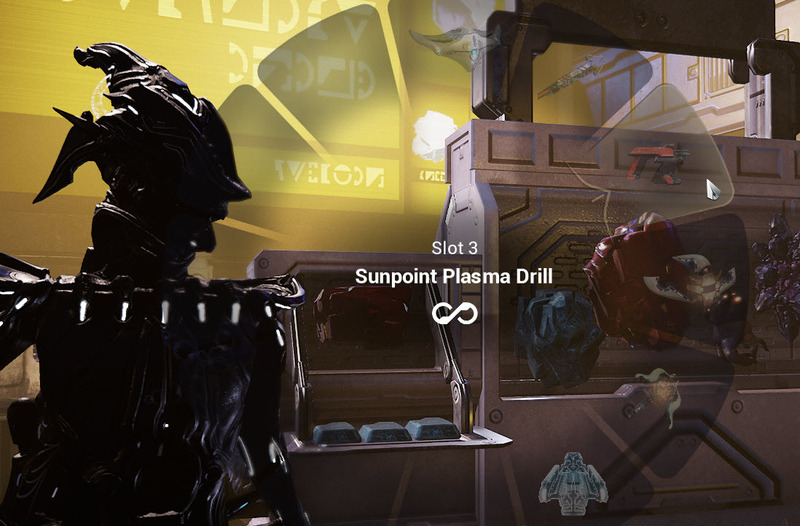 Once they do you can sell those puppies off up to your reputation cap so that you can start buying the stuff you’re doing all this work for… the blueprints for the kitguns, the new companions and the part blueprints. Well that’s it for rep. Hopefully this will see you well on your way to getting all of the cool stuff you want/need/whateves from Fortuna! Until next time, remember your f-budgets and those thermal undies!